Before St. Valentine’s Day, it is a pity to realize that you are on a budget, especially when the glittering stores’ windows display a great variety of glossy presents that cost big sums of money. Do not be upset. Love and care for someone is not measured in dollars. Use your creativity and make a romantic present that will stay in the heart of your loved one for a long time. 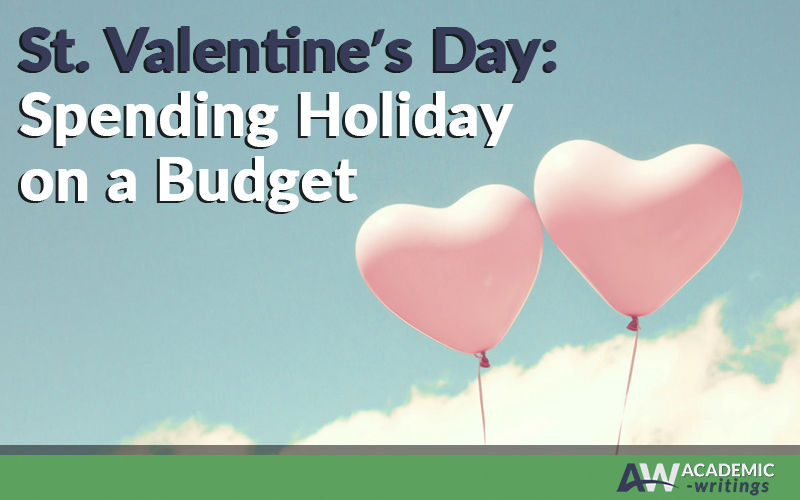 According to National Retail Federation, Americans spend around $142.31 on St. Valentine’s Day. The most popular presents are candies (average cost $23.86), cards ($15.32), flowers ($41.22), dining out ($77.77) and jewelry ($172.38). If these sums are high for you, do not feel depressed. There are different ways to present these traditional gifts without going on spending spree. If you are skilled in drawing, draw a picture of your loved one. Create a fancy card using decorations such as laces, pop-up paper designs, beads, etc. Create a romantic poem or letter. If you are skilled in IT, create a romantic animation that can be sent via email. Roses are traditional flowers that symbolize love. That is why they are usually presented on St. Valentine’s Day. If you are planning to buy roses for your loved one, it is better not to save on this type of present. Without a doubt, jewelry, especially a ring, is the best present for a woman on St. Valentine’s Day. On the other hand, if your relationship has just started, it is not advisable to present expensive and fancy jewelry. Instead, you may buy a small lace or a bracelet that symbolizes your feelings. Remember that the best gift on St. Valentine’s Day is not always the most expensive one. Make your present with love and your partner will certainly appreciate it.